Water clear pour-on glass finish for bar and table tops. 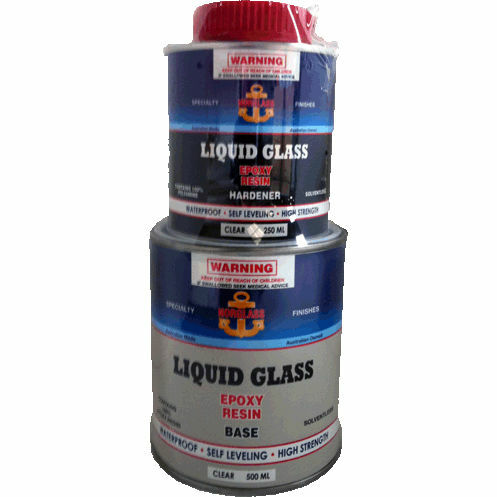 Gives that ‘liquid glass look’ and can be used for découpage applications. Other uses are for laminating fibreglass, Dynel and other composite reinforcings. Excellent adhesion, abrasion resistance and flexibility. Can be extended with Glass Bubbles, Talc or other extenders to make fairing fillers.